After weeks of steady losses, two crude benchmarks posted substantial gains on Monday - but with the exception of one investment bank, the analytical community doubts that this is the start of a sustained recovery. 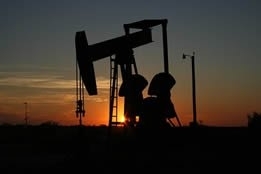 Brent rose $1.68 to settle at $60.48 per barrel, a 2.9 percent gain, while West Texas Intermediate gained $1.21, or 2.4 percent, to close at $51.63 per barrel. The gains were due to U.S. stock markets rallying as the largest online shopping day of the year, Cyber Monday, began; however, it is said that an industry source disclosing that Saudi Arabia pumping a record 11.1-11.3 million barrels per day (bpd) in November limited Monday's performance. Jim Ritterbusch, president of Ritterbusch and Associates, said in a note, "We are reluctant to read much into today's oil price advance given a much oversold technical condition that needed only a moderate stock market rally to force some short covering." Citigroup agreed, and in assessing the next two potentially big drivers of oil prices - the upcoming G2 summit and the December meeting of the Organization of the Petroleum Exporting Countries (OPEC), both of which are expected to see discussions about lowering crude production in order to avoid a global glut - Ed Morse, the company's global head of commodity strategy, said, "It's indeterminate at this moment on where oil prices will be going." One thing seems certain, though: market volatility. Tariq Zahir, a commodity fund manager at Tyche Capital Advisors LLC, explained that Russia has indicated "they aren't excited about doing a cut; if Saudi decides to do a cut, it's really going to be giving up market share to the United States. "This week is going to be volatile with Saudi Arabia and Russia going to the G20." In addition to the Saudis boosting output in November, Russia has also raised production steeply in recent months to a post-Soviet high of 11.4 million bpd, and the same industry sources who disclosed the Saudi production numbers this month told media the kingdom wants prices to stay above $70 per barrel - which presumably will anger U.S. president Donald Trump, who wants prices a lot lower than even current levels in order to give American motorists a break at the pump. But the uncertainty of where the market is headed didn't stop Goldman Sachs from predicting that the G20 summit might be a catalyst for a crude price rebound: "We expect an OPEC cut and its announcement to lead to a recovery in (Brent) prices," the bank said in a note. Goldman Sachs' confidence was matched last week by that of Wells Fargo, whose strategist, Scott Wren, stated, "From our perspective oil, while it's hard to say right now exactly where the bottom is going to be, we feel it's pretty close to where we are right now." First ever design approval for such technology, according to Norsepower.